Debating - Seir Kieran's N.S. During Friday the 4th of March's assembly, the debating team of Aoibhe, Rebecca, Ava, Faye and Rian received medals to commemorate their efforts in debating during the year. The team performed admirably and only narrowly lost out in the semi final to Gaelscoile Phortlaoise. The school is extremely proud of the amount of effort they put in. On Tuesday the 9th of February, our three girls, captain Denise, and her team mates Aoibhe and Rebecca traveled to Birr library, where they faced Gaelscoile Phortlaoise in the semi final. The motion was: "children should be allowed to have TV's in their bedrooms" and we were in favour of the motion. Although the girls debated brilliantly, they were unfortunately defeated when the adjudicator, who was from Portlaoise, ruled in the oppositions favour. We are all very proud of the effort the girls put in, and they were a credit to the school. On the 22nd of January 2016, Seir Kieran N.S defeated Scoil Chronain Naofa, Dromakeenan in the quarter final, and moved on to the semi final vs Gaelscoile Phortlaoise. The team successfully opposed the motion "conserving water isn't an important issue in Ireland". 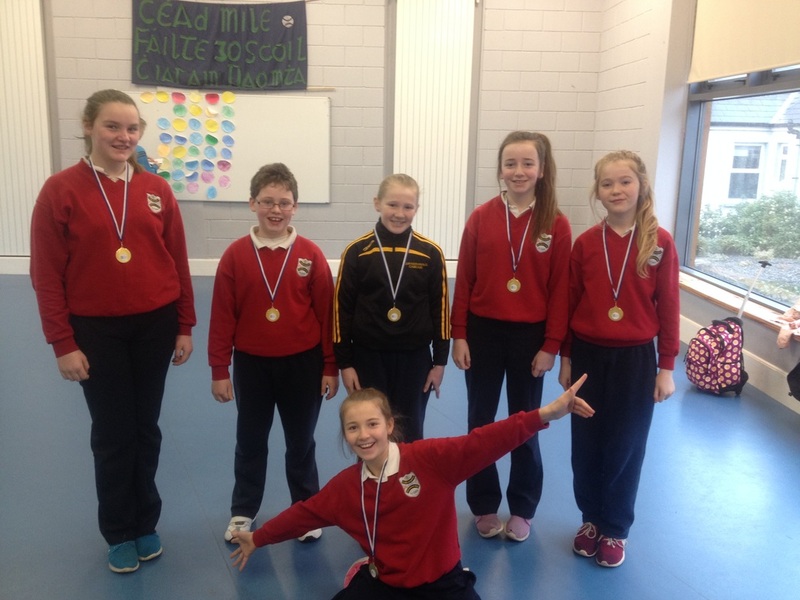 The team consisted of the captain, Denise , Aoibhe , and Rebecca. Although Dromakeenan put up a good fight, they were no match to the debating skills of our Seir Kieran team. We also had another team consisting of co-captains Aoibhe and Faye , with Rian being the 3rd member of the team. They opposed the motion "television is a bad influence on children" and put up a great display and were unfortunate not to be victorious. Both teams represented the school marvelously and we are all very proud of them and wish them the best of luck moving forward in future debates.